Samsung has reportedly signed a new deal with Blockbuster that will see the company deliver thousands of movies to the Korean electronics giant’s Galaxy smartphone and tablet range, Blu-ray players and new connected Smart TVs. Smarthouse reports that the service will be rolled out in Australia, the US and Europe this year, with American and European customers expected to see the streaming service made available in the first half of 2012. 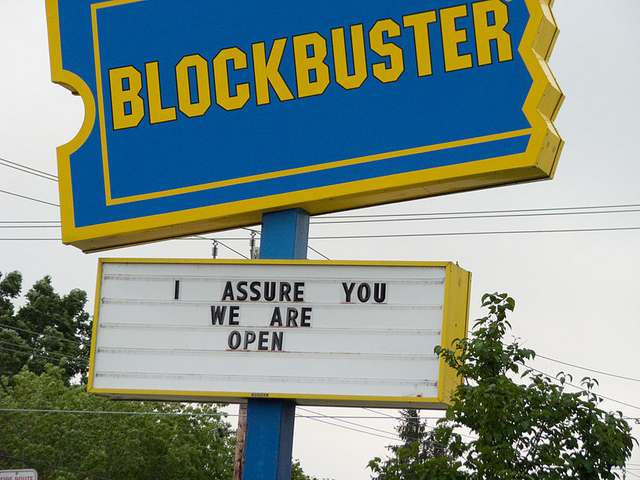 Blockbuster is Australia’s biggest provider of rental movies but has suffered in the US as Internet-based Netflix and rental kiosk company Redbox have dominated the market. The retailer was forced to close many of its stores as part of a cost-cutting strategy and was recently acquired by US satellite broadcaster the Dish Network and will launch a new streaming service that could underpin the Samsung deal. Redbox followed the move with the buyout of Blockbuster’s Express Kiosk business. Paul Uniacke, CEO of the Franchise Entertainment Group, who holds the rights to the Blockbuster brand in Australia said that the Samsung deal “is a brilliant deal” which will see the service available on Samsung’s range of televisions, Blu-ray players, mobile devices and even PCs. Sources have said that whilst the streaming service will launch in the US, the UK and Europe in the first half of 2012, Australian consumers will have to wait until September. To facilitate the new service, Samsung is rumoured to be developing a new global billing platform that will allow users to sign-up and pay for new media content, helping the Korean manufacturer extend its range of value-added services to better serve its customers across devices.